It’s been said that the best story about yourself is the story that someone else writes about you. I thought I had seen just about everything, but I learned yet again, that sometimes events happen that just can’t be explained. Now, this happens to everyone, and in my case, a very tough period in my life turned into a miracle, but sometimes, no matter how hard you try to make sense of it, you never can. “BAD MOVIE” is that miracle. Every artist is excited when they put a new project out with our babies, our songs, for the world to hear. If you are a songwriter, you pour your heart and soul into your work, and then when you get in the studio to record, “you leave a pint of blood on the tracks” as they say in the UK. My fans and the record buying public have seen the great liner notes that are written about me with stories of my angst, darkness and traumas. I am a Blues Artist after all, but “BAD MOVIE” was different. These songs came from a place that I have never been and what’s amazing is that the words were written by the best lyricist I have ever known, Jon Tiven, as he watched me try to find my way out of the depths of despair. As only an outsider can see, he told the story of a man broken, and a political system broken, from the perspective of a caring, but cynical place, with a positive sheen. His words and assessment of both situations were perfect. I cried and I laughed as he handed me song after song and his therapy pushed me musically and vocally to places I had never reached. In the year since “Love & Money” went #1, I had no creative spark or the impetus to write, but In a six week period, a period that I had sunk lower than I had ever been, Jon and I wrote fourteen songs, eleven with he and I, two with the great Larry Weiss (Rhinestone Cowboy/ Bend Me Shape Me) , and one with the tremendous Steve Kalinich (Brian Wilson/Beach Boys). On top of that, one of my idols Brian May of Queen offered a song he had co-penned with Jon. In eight weeks the album was recorded and finished, thanks to my great friend Juanita Copeland at Sound Emporium, and Adam Taylor, one of the best engineers I have ever known. Ed Canova, my wing man, played the perfect bass parts on every song and Nioshi Jackson, one of my favorite drummers in the world, worked his magic throughout while Pete Gallinari lent his tremendous keyboard playing. The highlight was a duet with one of the best singers I have ever known, Alecia Elliott, and the result was the album I have wanted to make my entire life. I had been at the precipice and ready to go over the proverbial cliff but my friends and fans kept pulling me back until I was out of danger and “BAD MOVIE” is the result of their valiant efforts. I have always said that when you love someone more than life “You Never Let Them Fall”. Twice I have been unable to follow that belief through circumstances beyond my control BUT the loving folks surrounding me carried those words through for ME. 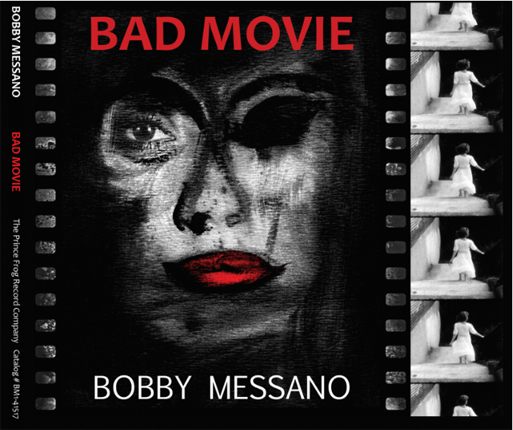 I thank you all from the bottom of my heart and I present you my gift in return…“BAD MOVIE”.